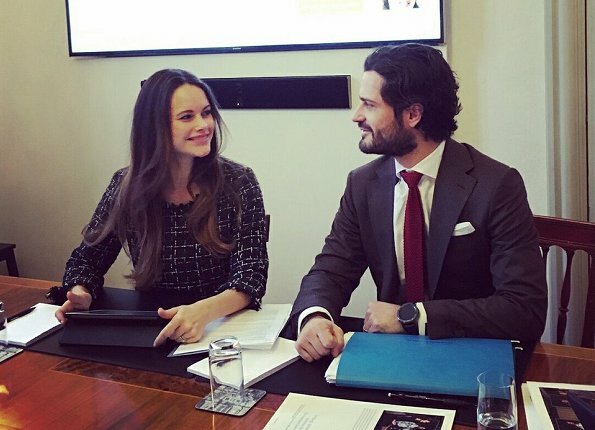 On December 15, 2017, the board meeting of Prince Couple Foundation (Prins Carl Philips och Prinsessan Sofias Stiftelse) was held with the attendance of Prince Carl Philip and Princess Sofia of Sweden at Royal Palace in Stockholm. In this photo Sofia truly reminds me of a young queen Silvia! Wow. I went back and looked at photo of younger Silvia. You are so right! Oh yes - that's true!